Arizona Shiba Inu Association: Another Shiba looking for a Forever home! Please Share! Another Shiba looking for a Forever home! Please Share! 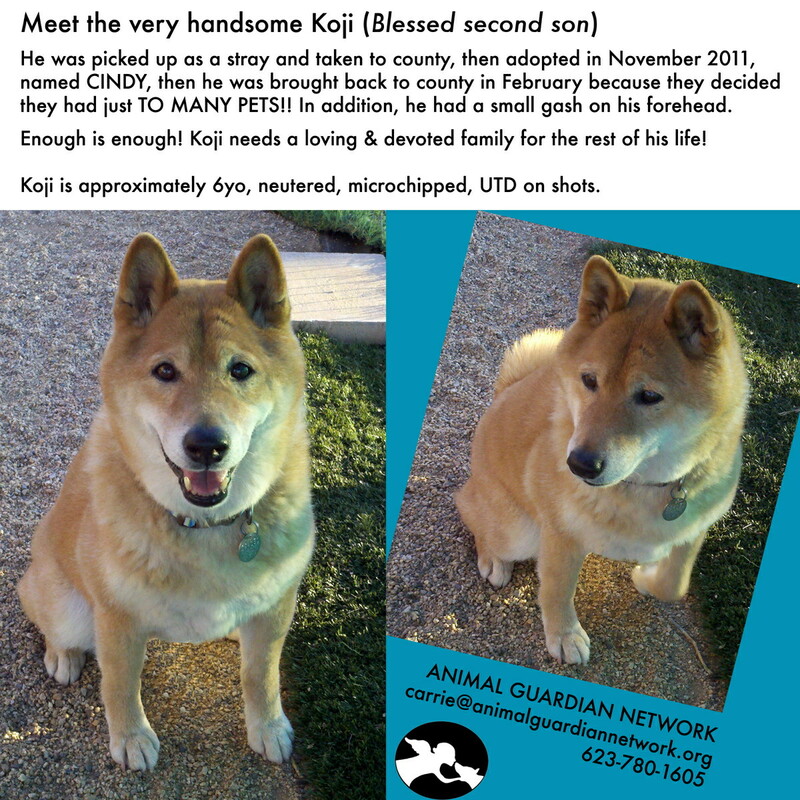 looking to give Koji his forever home! We are an odd family of three, all girls so in need of a male around the house jk. We are planning to move to Portland Oregon in 6 months but want the family bond to start here. Really hoping that Koji would enjoy playing outside with trees and rain. Love Dogs and have much experience in caring for them. Just lost our old pal Leo about two months ago, got cancer, and looking for our next companion. Not sure how all of this works never gone through a rescue group before, pound puppies mostly. 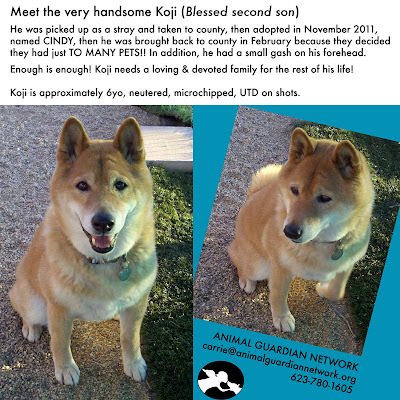 But would love to find out more and see if Koji has found His Home!